The winds of change never stop blowing. Sometimes it’s a gentle breeze. Not so bad really. Almost pleasant, in fact. Too bad that’s not the case all that often. More often, change assaults us with the fury of a storm. A category-five hurricane to the face, leveling anything that even looks like resistance. 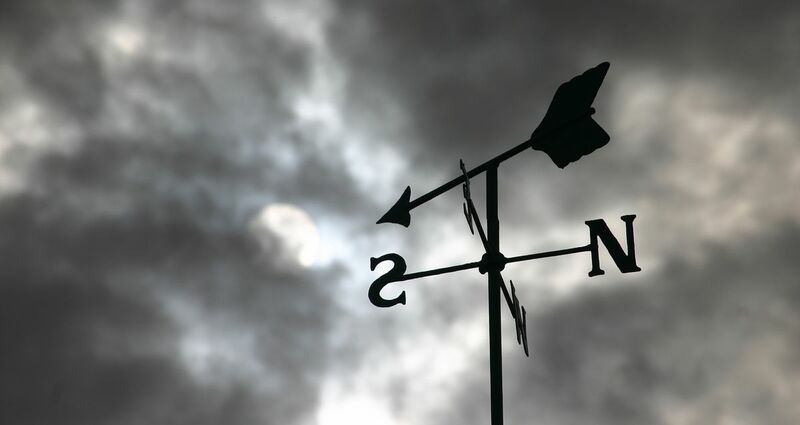 Make no mistake, associations and nonprofits are experiencing gale-force winds. Everything is swirling change. And we’re not all equally equipped to deal with it. So different types of organizational leaders react differently to the storms of change. Some pretend there is no storm. They carry on with their day-to-day tasks, blissfully ignorant of what’s happening. And all the while, debris from their disintegrating organization swirls around them until they’re eventually blown away. Others recognize they’re in the storm. They hunker down and hold on tightly. They hope the storm will pass and the world will return to the way it used to be. They’re battered by a cyclone of change they can’t see. Beaten by forces they don’t recognize. They hang onto the status quo until there’s nothing left to hold onto. And they’re gone. Then there are those that understand the winds of change will never stop blowing. They realize the direction might change. They know the velocity might slow once in a while. But it’s only temporary. A lull in the storm before the next blast of change hits. These business leaders understand they have to adapt to the winds of change or it’s all over. So they do. And they thrive in the midst of the storm. Nowhere are the winds of change blowing more fiercely than in the association / nonprofit market. Those who have ignored change are gone or heading that way. Stalwarts of the past like the Parent-Teacher Association aren’t immune to change. The PTA lost 500,000 members between 1990 and 1997. And is anyone surprised that the United Square Dancers of America membership dropped from over 1,000,000 members to only 300,000 today? These organizations aren’t “gone” … but they’re heading in that direction. That leaves two groups still standing. First are those hanging on for dear life, hoping to ride out the storm and looking forward to the day when everything returns to “normal”. Then, they believe, things will again work the way they always have. Sorry, it’s not going to happen. The other group? They adapt to change, looking for and maximizing the opportunities change inevitably brings to those who are prepared to recognize them and take advantage of them. These two groups have been labeled different things at different times by different people. But what they’re called is less important than the mindsets they represent. One group clings to a view of business (and if you’re an association or nonprofit you really are a business) rooted in tradition or habits that don’t reflect today’s reality. They’re the Old School. Their battle cry is “That’s the way we’ve always done it!” And while the way it’s always been done still (sort of) works, it’s less and less effective as time goes by. Eventually the way it’s always been done won’t be the way it’s done anymore. When was the last time you saw a Sears catalog? The New School group is defined by the recognition that the way it’s done today can’t be the same as the way it used to be done. New Schoolers adapt to change. They embrace it. They maximize the opportunities that invariably follow a wave of change. The associations and nonprofits defined by New School leadership have thrived despite the changes in their market. Leadership of these organizations have shown they can skillfully leverage change to serve as a foundation for future growth and success. This is all fundamental to the future of the association / nonprofit marketplace. It’s so important that we’ve decided this will be the beginning of a series of blog posts on this subject. We’re going to dive deeper into the divisions between the Old & New school approaches to organization leadership and see how some have thrived while others have struggled. The winds of change are blowing. We hope you follow us as we examine the future challenges to association / nonprofit leadership. And while we’re at it, take some time to look at your own organization. Ask yourself, which school of thought does it subscribe to? The answer might be your key to weathering the storm.